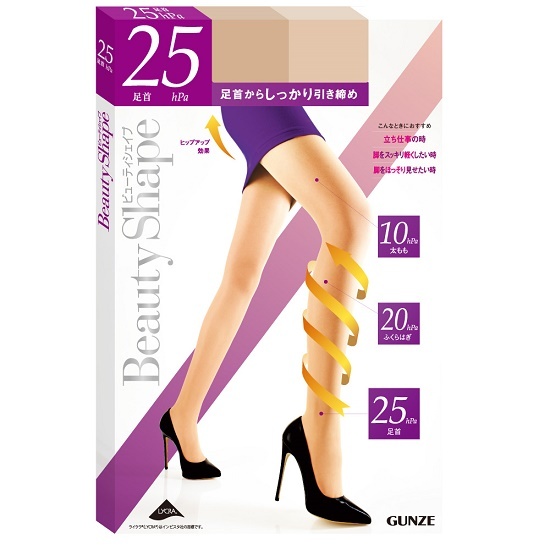 Minimum quantity for "GUNZE JAPANESE-MADE "Beauty Shape" 25hPa TIGHTS" is 1. A durable yarn called DCY is used. The abdomen and the buttocks work as a girdle. They have a small gusset. The legs are given some graded pressure. An ankle has 25hPa pressure.